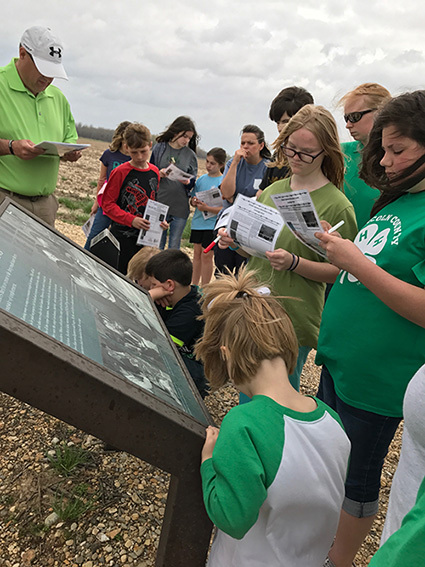 Desha County 4-H learning about the Rohwer Relocation Center Memorial Cemetery. Photo by Jodi Barnes. 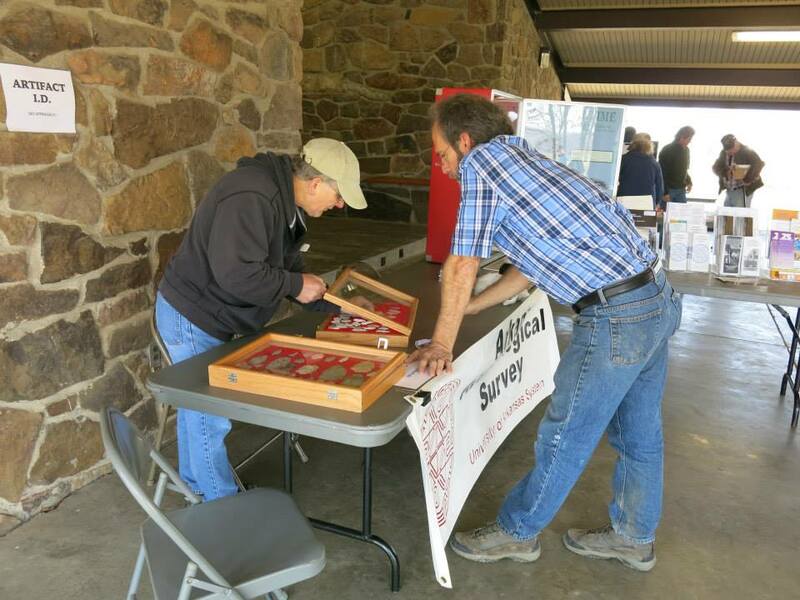 Arkansas Archeology Month 2017 was celebrated throughout the month of March with a wide variety of presentations, activities, demonstrations and displays. Activities included artifact ID, flint knapping, basketry/weaving, spear throwing and tool demonstrations, tours, open houses, discovery boxes, lab days, mock and shoebox digs, and workshops. Presentations were given on civil war archeology, the Mulberry River Project, archeology in the Ouachita Mountains, bluff shelters, novaculite, Native American mounds, Van Winkle Mill, WWII Japanese American Internment Camp, the General Land Office files, rock art, and the Trail of Tears. Other topics presented included prehistoric games, archeology of the prairie, and information booths. 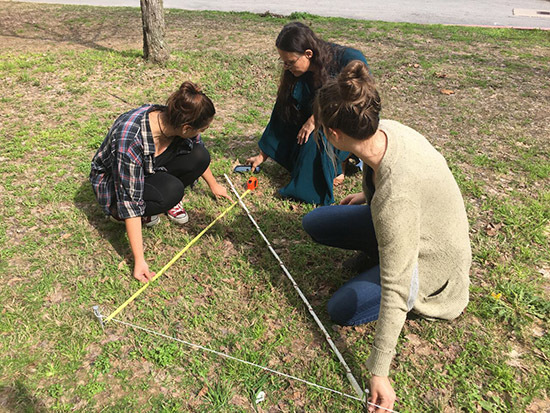 A 5th grade teachers’ workshop and the ever popular ArchaeOlympics event were held. The University of Arkansas Press offered a statewide archeological book sale the entire month of March! Jim Rees shares information on prehistoric musical instruments at the University of Arkansas curation facility in Fayetteville. Photo by Marilyn Knapp. 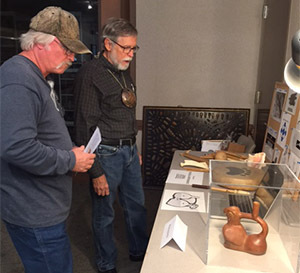 Aspects of Arkansas historic and prehistoric archeology were shared with some 1,400 individuals through 40 programs held at 30 venues around the state. Many of the programs were shared via Society, Survey and Chapter Facebook pages and other social media outlets, which included information on the activities as well as photos. Programs were also written about in newspapers and communicated to the public through television and radio. In addition, a Governor’s Proclamation was received from Governor Asa Hutchinson declaring March 2017 Archeology Month! Teams participate in a variety of events in the ArchaeOlympics. State Parks: Arkansas Post Museum State Park, Davidsonville Historic State Park, Hobbs State Park, Lake Catherine State Park, Lake Dardanelle State Park, Parkin Archeological State Park, Petit Jean State Park, Prairie Grove Battlefield State Park, and Toltec Mounds Archeological State Park. Museums: Arkansas State University Museum, Old Independence Regional Museum, Pine Bluff/Jefferson County Historical Museum, and University of Arkansas Museum Collections. Libraries, Colleges & Others: Arkansas School for Mathematics, Science, and the Arts, Ark-Homa Chapter of the Arkansas Archeological Society, Arkansas Tech Anthropology Club, Fayetteville Public Library, Garland County Library, Historical Society of Elm Springs, Ko-ko-ci Chapter of the Arkansas Archeological Society, Osher Lifelong Learning Institute, Ouachita Chapter of the Arkansas Archeological Society, Rick Evans Grandview Prairie Conservation Education Center, Rohwer Relocation Center Memorial Cemetery, Searcy County Historical Society, Tunican Chapter of the Arkansas Archeological Society, University of Arkansas Little Rock, University of Central Arkansas, University of Arkansas Division of Agriculture’s Desha County 4-H, and the University of Arkansas Press. 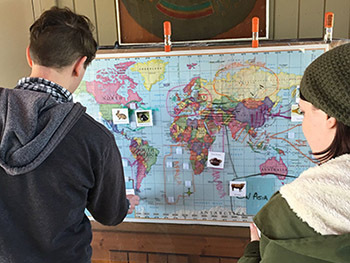 The ArchaeOlympics offer fun and informal games that provide learning experiences about archeological methods and past lifeways. 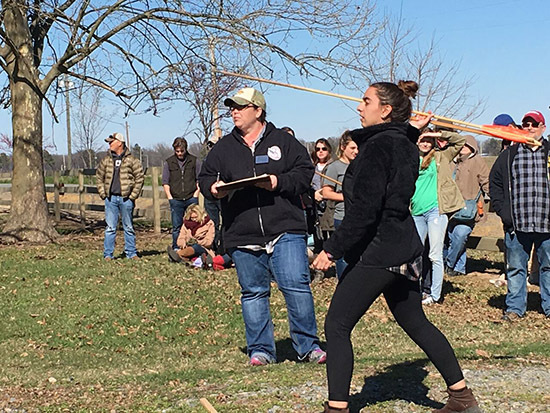 Local anthropology and history students compete in the ArchaeOlympics at Toltec Mounds State Park. Photos by Krista Lewis. Special thanks go to the Bill Jordan Public Education Fund for funds offered in support of Archeology Month 2017. 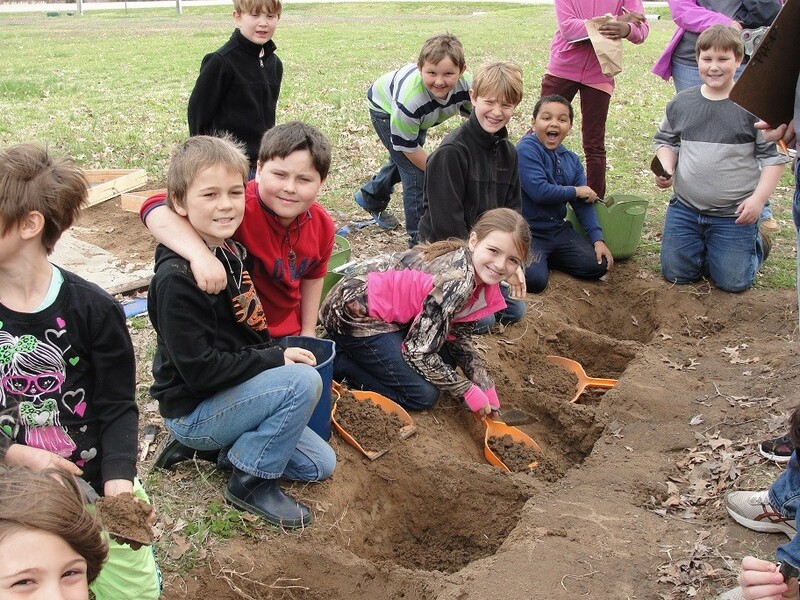 The Archeology Month poster was sponsored by the Arkansas Archeological Society. It featured the Arkansas Archeological Survey marking its 50th anniversary with a compilation of photos from over the years and was included in the national display of Archeology Month Posters at the 2017 Society for American Archaeology meeting in Vancouver, BC, Canada. Many thanks are given to all those who provided programs, donations, volunteer hours or participated in some way to make Archeology Month 2017 another great success!